New Delhi and Abu Dhabi have agreed to a currency swap for 35 billion rupees or 1.8 AED ($496 million). "The bilateral currency swap agreement between India and the UAE is expected to reduce the dependency on hard currencies like the US dollar", the Indian embassy said. The decision was announced on Tuesday after the 12th session of the India-UAE Joint Commission Meeting (JCM) for Economic and Technical Cooperation, which was held on 3-4 December in Abu Dhabi. 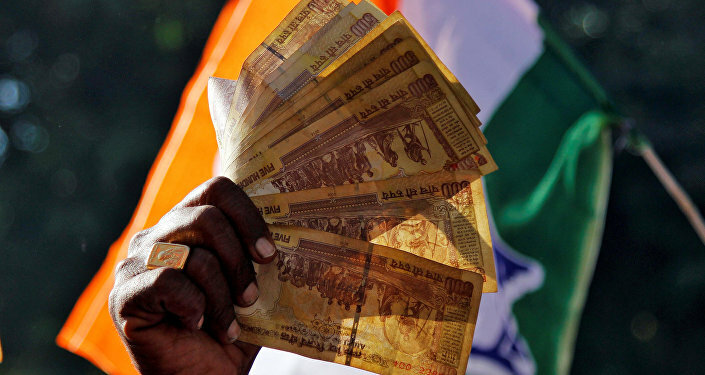 The countries signed an agreement on a currency swap between the Reserve Bank of India and the Central Bank of the UAE. According to the agreement, two countries can make payments in their national currencies — Indian rupees and Emirati dirhams (AED), avoiding the involvement of a third currency, which is designed to boost bilateral trade. "It is also expected to give a push for the local currencies of the two nations and may reduce the impact of volatility in exchange rate arising from the dependency on a third currency. It is also expected to reduce the transmission costs arising from exchange rate risk". In April 2018 during the 2018 Dubai Global Convention key experts attended a meeting predicting that the two countries' bilateral trade would exceed $100 billion by 2020. Abdulla Al Saleh, Under Secretary of Foreign Trade and Industry at the UAE Ministry of Economy noted that "India is the first trading partner for the UAE", saying that $35 billion in bilateral trade (of $53 billion) is non-oil related. In November 2018 discussions on establishing a national currency trade mechanism were held between India and Russia. The representatives from Russian banks (including Vnesheconombank, Sberbank, and VTB) attended the meeting organised by the Indian Banks' Association (IBA), according to the Hindu Business Line. India earlier signed a currency swap agreement with Japan, known as a Bilateral Swap Arrangement (BSA) worth $75 billion. In May 2018 it became known that India and Iran were also seeking ways of establishing local currency trade mechanisms in a bid to limit the impact of US sanctions on their bilateral trade. An Indian suggestion to conduct trade in local currencies was rejected by China after an inter-ministerial meeting, according to the Manila Times.